Drax power station is the largest coal-fired power station in the UK supplying 7% of the country's electricity needs. 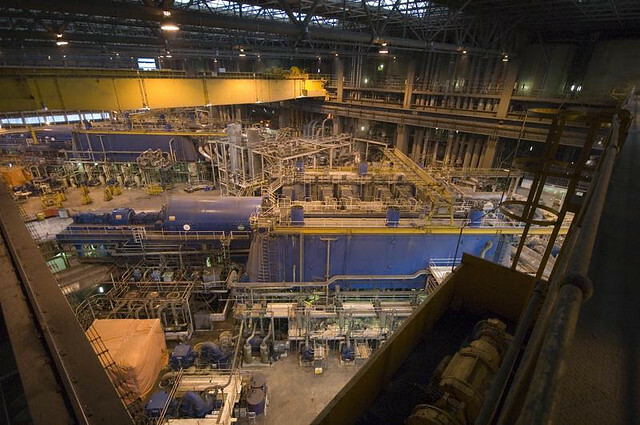 Alstom is a major contractor working with Drax Power and together they are keen to continually develop their technology, improve efficiency and lower emissions. 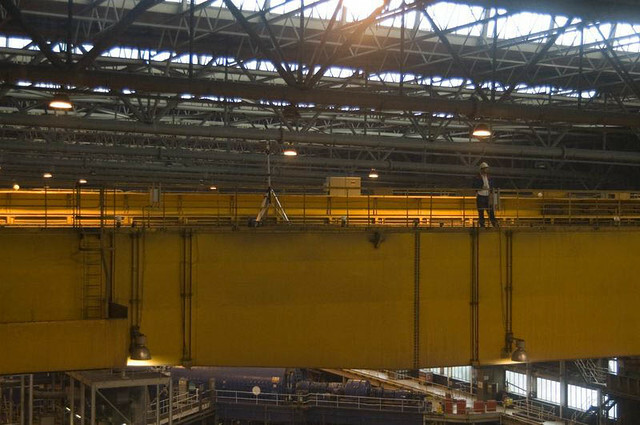 Deri Jones & Associates (DJA Ltd) and Geospatial Survey Solutions (GSS) were tasked with producing a 3D survey of one of the six steam turbines within the four hundred metre long turbine hall. Two days onsite scanning captured the required data to allow the production of a detailed 3D point cloud model representing levels and machinery spaces around the surveyed steam turbine. Working with the LS880 FARO Laser Scanner, operators were able to scan the 60m steam turbine within two days producing 37 individual scans on four different levels. During the survey all generation machinery was constantly running producing a challenging operating environment. Heavy machinery operation resulted in high levels of noise and structural vibration. However neither of these difficulties prevented the LS880 from rapidly scanning the elements of the turbine. Its relatively light weight and ability to work from a portable battery pack independent of a computer system allowed for two operators to quickly move the scanner around the turbine. Once the data had been returned to the office the point cloud files were processed using the FARO Scene software to remove extraneous data and leave a clean point cloud of the turbine and surrounding spaces. Then the 37 scans were tied together in the FARO Scene software using the 62 reference spheres placed during the survey. This allowed the production of a single combined point data file, from which our engineers were able to produce accurate plans of platform levels and cross sections along the turbine shaft. From these it was possible to see the extent of space around the turbine and allow the planning of future machinery installation.